While at Kunitachi College of Music,He discovered his passion for Minimal music,and he started his carrier as compositor of contemporary music. His first album, ”MKWAJU”, was released in 1981, with ”Information” being released a year later. After that, ”Piano Stories”, ”My Lost City”,”ETUDE ～a Wish to the Noon～”, ”Asian X.T.C”,”Another Piano Stories ～End of the World ～” , he has created many solo albums and has established his own style performing in different genre of music. Starting with ”Nausicaa of the Valley of the Wind(1984)”, He has produced music for 9 films directed by Hayao Miyasaki, including ”Spirited Away(2001)”,”Ponyo on the Cliff by the Sea (2008)”. He also provided music for ”HANA-BI (1997)”and ”BROTHER(2001)” directed by Takeshi Kitano , and for ”Okuribito(2008)” by Yojiro Takita , which won Academy Award for Best Foreign Language Film(2009). His works have won many awards including several Outstanding Achievement in Music of Japan Academy Prize,achieving his vital position in Japanese film industry. In recent years, he has provided musics for foreign films as a Korean film”Welcom to Dongmakgol(2006)” which won Best Misic prize of Korean Film Award, Chinese film ”The Postmodern Life of My Aunt(2006) ”(won Best Music prize of 27th Hong Kong Academy Award). At home and abroad, his music have always been extremely well-received. In 2001,Hisaishi made his debut as a film director in ”Quartet(2001)”,taking charge of the theme music and script (co-writing). The film,receiving excellent reviews, was introduced as the first full-scale musical film in Japan and it was nominated to World Competition of the Montreal Festival. He performs energetically music, giving many style performance including piano solo,ensemble and orchestra performance. His activities at abroad in 2004 at Cannes International Film Festival, Hisaishi became the first japanese musician who conducted an orchestra,performing ”The General” at the film concert. At the tour in Asia 2006, the collaboration with the top philharmonic of 5 cities had extremely success. He assumed a post of first music director of ”World Dream Orchestra (W.D.O)”, newly formed orchestra project by New Japan Philharmonic. In August 2008, ”Joe Hisaishi in Budokan -25 years with the Animation of Hayao Miyazaki-”was held and he made a huge success by leading a large orchestration totaling 1200 people including choirs, wind orchestra and marching band,while himself co-performing by playing piano. In 2009, he started full-scale activities as a conductor and did a debut with OTTAVA. In May,he organized a concert”Joe Hisaishi Classics vol.1”. Afterward,the concert ”Joe Hisaishi Classics vol.2” was held in February 2010 as ”Joe Hisaishi Classic Series”. Releasing his live-recording album ”JOE HISAISHI CLASSICS” from Wonder land record,he keeps transmitting the attraction information for classical music to a wide group of people from the viewpoint of contemporary musician. 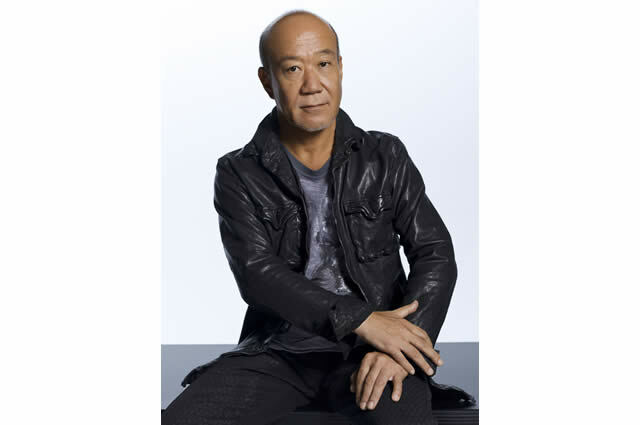 In August 2009,Hisaishi released his solo album ”Minima_Rhythm” together with London Philharmonic Orchestra,and he hit the road on the orchestra tour covering 12 cities in Japan. In November, he was awarded with a Medal of Honor with purple ribbon by the Government of Japan. In 2010, he become the visiting professor of Kunitachi College of Music and puts his efforts into teaching young people while working for his own music activities. The film”Akunin(2010)”of which he took over as musical director and his new solo continued album co-played with London Philharmonic Orchestra 2010 will be released in autumn. His unique inputs to the concerts as a contemporary musical composer is highly appreciated and his continuous enthusiasm for musical activities that go beyond ordinary creative work is anticipated worldwide.